Android is one of the most popular and widely used operating systems throughout the world. This OS is based on Linux kernel having a UI based on the direct manipulation and is mainly designed for touchscreen gadgets. It is estimated that roughly 71% of the devices throughout the world are based on Android OS. Android has improved a lot since its early days when it struggled to compete with the revolutionary iPhone and Symbian OS. Even the first Android phone, HTC G1 didn’t get as good response as it should have. However, in six years Android has come a long way to become the most dominant OS triggering the “smartphone wars”. The source code for this system is released by Google under the open source license and allows the developers to tweak and customize it. Over the years, various versions of Android have released with the KitKat being the latest one. 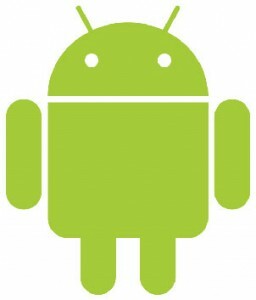 Following is a brief on the evolution of Android and some of its major releases. It lacked most of the common features that you will see in modern Android devices. There was no camcorder, no Microsoft Exchange and also no stereo Bluetooth. This version possessed just basic features including Google Services, YouTube and Amazon apps. Even the Android market had just 35 apps that time. It possessed a revamped Android store with filters and browsing categories appearing. It also made toggling between camera and video modes quite convenient and allowed the user to check multiple options. Voice to text and gesture controls were improved considerably from the previous version. Within a few months of Cupcake, Donut made its mark with a virtual onscreen keyboard and stereo Bluetooth. The much liked Home screen widgets and folders were introduced in this version of Android. Besides direct uploading to YouTube and other in built apps were introduced. This version was also introduced in a short gap of Donut and allowed the user to have multiple user accounts and consisted of camera improvement and Bluetooth 2.1 version. The exchange support along with the universal email inbox was announced. Camera also saw a major improvement in this Android version with flash and digital zoom making its introduction. Android users also got to know about Adaptive dictionary in this version. Live Wallpaper was highlight of this Android version. Also the number of home screen was increased to five. Microphone icon was introduced for the very first time for voice dictation and made texting and emails quit easy. USB Tethering and hotspot support was made possible in this. It was speediest OS of its time and came with the much awaited USB tethering and hotspot support. This became the speediest OS of its time and got a major Android Market update with many new features. Another noticeable feature in Froyo was Adobe Flash 10.1. Now, contacts can be shared and voice dialing was possible using Bluetooth. It didn’t offer any major upgrade but had some improvement over the copy/paste in devices. The NFC support was provided to Android device and virtual keyboard shortcuts came into existence. This Android version came with a 3D graphic support and thus revolutionized gaming and video playback experience. The dual pane mode for email as well as address book made viewing quite convenient. Video chatting on Gtalk and Full screen mode in Gallery made using Android more fun. In addition to the touch sensitive buttons, virtual buttons were introduced. New App tray tab was created for widgets and Gmail got decent upgrades in terms of offline arch and swiping between the conversations. The new UI of Gmail was good. Some of the modern features like Face Unlock, Data Usage, customize home screen, bookmark tabs were introduced in this version of Android. With the Project Butter, Android Version 4.1 was made into a fast and smooth performance and consisted of expanded notifications having much greater interaction. It allows the user to resize the widgets and came with expandable language support. The music recognition, interface tweaks and offline dictation were also liked by the Android users. This is the latest release to the Android Version and comes with some major design interface update. The translucent status bar is being liked by everyone. The immersive mode allows the user to hide status and navigation bars and thus helps the screen to look cleaner. Also, the size of the OS was reduced so that it can even run on devices having low specs. To know more visit the official website and/or the wiki page of Android. This article is written by Anzer Khan. He is a professional article writer and specializes in writing on mobile and technology. He has written several articles on Android and related topics and is an Android fan. How to Select the Best Web Hosting Services? Why Even Androids Can Beat those Premium phones, the iPhones?